Beauty Says: Too often bloggers get invited to events that will include a nail bar where a complimentary manicure will be offered. It's not that we don't like having our nails done, but what's the difference between one and another? I was recently invited to a #cocktailcolorparty at MYZ Beauty Boutique in Notting Hill, and it suddenly dawned on me the difference was indeed in this boutique salon and they should be noted for their key points of difference. 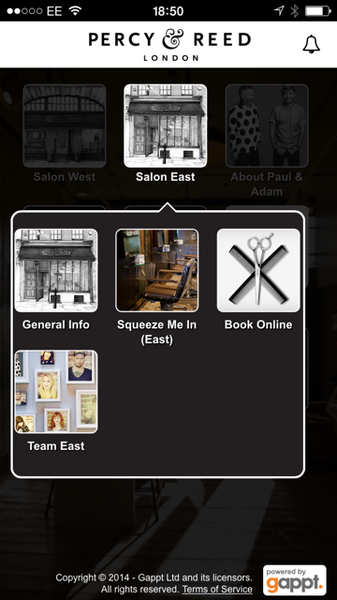 For one, the salon is does not smell of nail enamel, and has a most cosy interior. The price point for a manicure is not overpriced but accessible at £14. Their manicure is like no other though, as it has some note-worthy touches. For one, they use hot towels for each customer with the massage step. Now I know what you're thinking- How does a hot towel make all the difference? Well, it definitely does as it warms up the hands and somehow has that melt your heart effect during the treatment. DELICIOUS! LOVE THE FESTIVE TOUCH OF THE GLOSSY CANDY APPLE RED! The owner, Maryam suggests her favourite treatment for hands in the winter: a paraffin wax treatment. I had this treatment on the evening and I can tell you that it is not only luxurious, but instantly healed the hands to a state so soft it can only be desscribed as 'cashmere soft'. Only top nail products are used at this salon-OPI, Essie are to name a few, and they do some incredible facials too with CACI technology & Yonka products. Tucked away on 20 Powis Terrace this is little relax haven almost too good to share! So it you're looking for a beauty salon with a twist of sophistication with the most accomodating and friendly staff....look no further than this fantastic boutique spa. It truly is not another nail bar!!! These little treasures were found at a recent sample sale for The Kooples. I've always wanted a pair of fingerless gloves as I find it too difficult to swipe the phone with all the glove on and off. In the end my case scenario would be that I would have lost the gloves. So when I spotted these, I knew I couldn't miss! And was I right...wherever I go....I get smiles and enquires to wear I got the gloves from....divine. 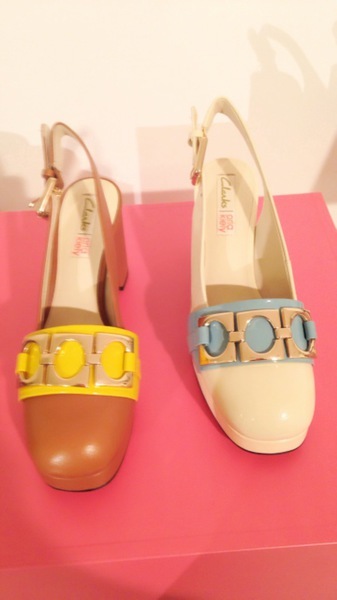 Now you may think that it is a bit too early to think of SPRING, but this just not the case when it comes to shoes! I’m sharing with you a sneaky preview of CLARK’s SS’15 collection that is simply divine and take much inspiration from ‘simplicity’ at its best or a rather minimalist approach. There is also a rather sporty presence in parts of the collection which are great for those of you who are into looks inspired by designers such as Alexander Wang, & Proenza Schouler or the ‘Sensationalism’ movement. I’m rather partial to these sandals with the straps and the tassles which have a festive vibe to them. There are also beautiful mute sorbet lemon tones, baby blues, which help to complete new fresh looks for the upcoming season. For those who are fans of the Orla Kiely collection you will love this coming collection as there is plenty of pretty pastels, gold embellishments, and the famous eye catching prints! Go on…have an ogle…and be prepared to get them when they launch early February 2015, just in time for Fashion Week. These 9ct gold rings give a bit of candied sparkle, and are simply wicked....£250 each. A sapphire...for truth...for wisdom, and forever faithful....make a memorable Christmas...£230. I need not pearls of wisdom....but just one pearl of beauty....£200. If you've got little ones to buy for and you genuinely don't know what kids like then stop thinking and get a set of these chalk board t-shirts by Little Mashers. These give hours of creative fun, and something cool to wear all year round. Each box contains a specific size of t-shirt with a cut out of a picture to draw on + 1 pack of chalks. Christmas Day Requires Some Sticky Fingers! It doesn't look like that this year will bring a snowy white Christmas, and perhaps without the snow it sometimes doesn't quite feel right, does it? Well, for many years Slava's Snow Show has delighted people in over 80 cities in the world with snow and clown magic. There is a guaruntee of blizzards and a snow storm of a show! Critics agree that the show is rather thrilling, and children and adults alike have throughly enjoyed this show . I'm not partial to clowns but if you're looking an activity other than the regular ice skating, hyde park or south bank christmas markets, or cup of egg nog latte from Starbucks, then perhpas this may give you a seasonal thrill. Beauty Says: What is the most important part of your make-up regime? Do you spend more time perfecting your mascara? Or perhaps it's in the foundation base. Maybe it's the sculpting techniques to create a more narrow face? With the holidays now fast ahead, sometimes there simply is no time to waste. So if you find yourself rushing in a cab to a Christmas party and need to do the fastest make-over in the world, might I suggest red lips + highly defined brows? 2. The highest point of the arch of your brow should be at the edge of your iris of your eye. 3. Next is the arch that comes at the outer corner of your eye. If you use this as the highest point of your arch you will create more sophisticated brows. 4. Finally the brow should taper off past the outer nostil to the outer edge of the eye. 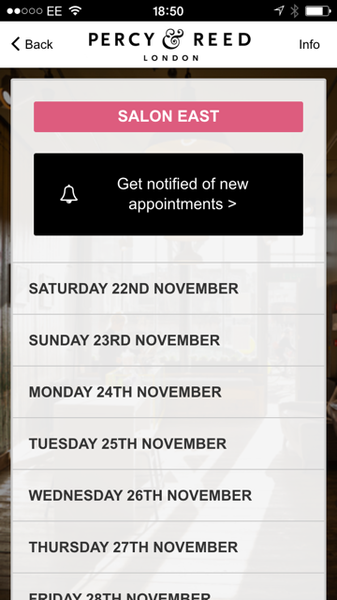 The Percy & Reed App: There is now simply NO excuse to have not booked for the salon, and no one makes it easier than the Percy & Reed app. 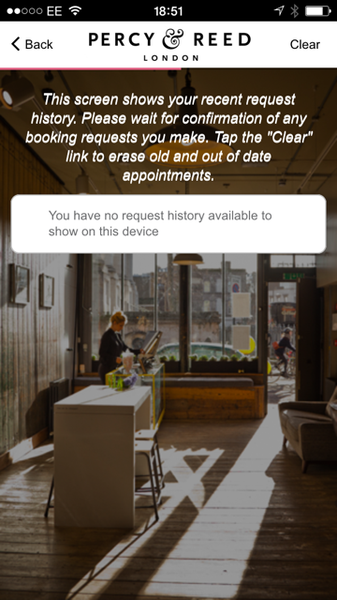 On a recent visit to Lee at Percy & Reed East, he informed me that they now have an app whereby you can make your booking. 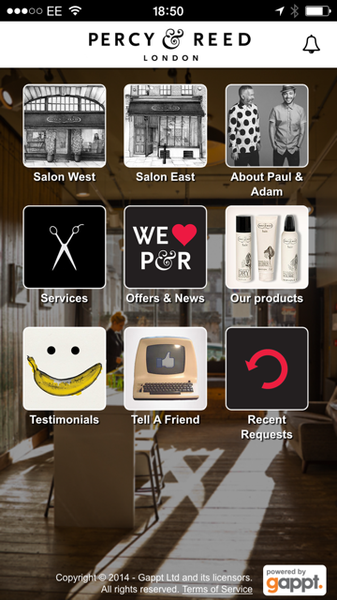 There are also other little features and treats of course, such as offers & news, a direct link to their product shop and appointment slots with each stylist for both West & East salons! This is the most fabulous solution for girls on the go. 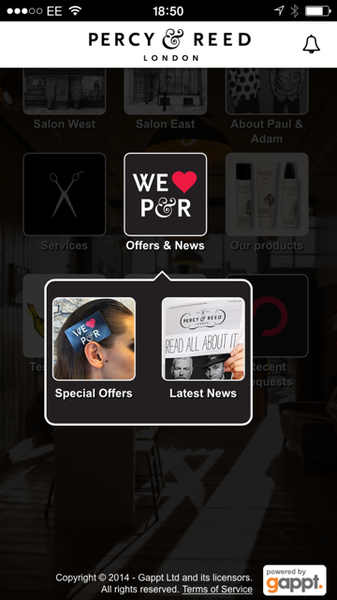 Oh yes, you’ll thank me when you can flip your well-coifed hair at the party….download FREE in the apple app store under: Percy & Reed London. Beauty Says: Winter is finally here, and as you can feel the chill your skin will be sure be acting up. This is especially true for those who suffer with skin conditions like eczema or psoriasis. The worst about ‘winter skin’ is that it can be left flushed, red, and raw from the harsh cold out there. Did you know that it’s not only the wind, or rain out there can affect it, but also central heating, and soggy clothing can all contribute to irritation of the skin. Luckily, I’ve looked into this in great depth and have some handy tips from consultant dermatologist and British Skin Foundation Trustee, Dr. Bav Shergill, to keep skin in tip top shape! While lamb’s wool is warm in the winter it can be a material that can cause or contribute to irritation of the skin or cause flare-ups. Choose materials wisely when shopping! Cover and care for all areas where your skin is exposed- a scarf, a hat and gloves are important whilst outside! If you catch the rain be sure dry yourself and do not stay in damp clothing which may cause further irritation or chaffing. While it’s lovely to heat up after the turmoil of being in the cold outside be sure that you do not crank up the heat too high inside- it can dry you out. This is not only true of the thermostat and central heating but also in the bath! Try to resist taking long hot baths and it can strip too much needed natural oil from the skin! Finally, as we dry ourselves from shower and bath do not rub, but pat dry. Rubbing vigorously damages skin….be gentle! Beauty Says: Of course, no matter how hard we try to take the greatest care we always need some extra T-L-C-. Sometimes our skin needs a ‘boost’ (a Berroca, if you will), to give it a lift, and much needed hydration or nutrients to feed it. I think it’s not just the face, hands or body that needs it but also the hair and nails. Here are some of my favourite products that will not fail you when nothing else seems to work. 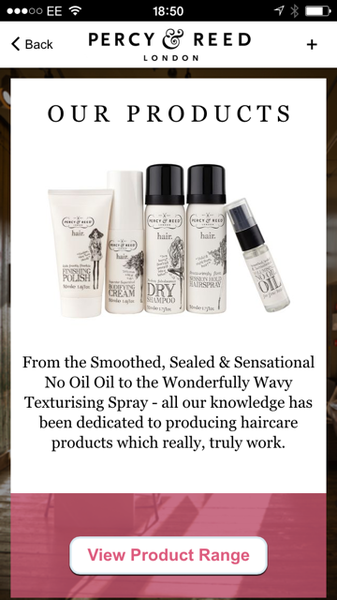 Give them a try they will give skin, hair & nails an optimum best. Beauty Says: We all like a bit of glamour over the holidays and wearing fur can give that affect, but wearing real fur can be tricky as it is politically incorrect. Thanks to technology in fashion there’s a lot of faux fur out there that looks like the real thing-but it’s not. I’m always inspecting garments people wear on the streets to see if I can recognise if it’s fur real or faux sure. From Halston to Maje you won’t be able to tell that it isn’t real….wear it guilt free! Check it out…. Beauty Says: Hair removal, in terms of personal hygiene, is no stranger to most of us. We, ladies, especially spend hours on end during the week, shaving, waxing, tweezing and other means to get rid of unsightly hair all over the face and body. Hair removal has now become a norm and there is simply no excuse not to do it as there are tons of products out there to get rid of hair. One though, has been on my mind in particular: laser hair removal- as this method guarantees no re-growth. I personally, don’t like to mess with depilatory creams, razors, or waxes. Tweezing is painful enough in the brow not to mention any other areas of the body; and can be incredibly time consuming. The most frustrating thing is that even when I do any of these methods it of course, grows back! Laser hair removal attracted me from the moment I discovered it as it meant no further maintenance. (For those of you who are unaware of the process of laser hair removal: The hairs are damaged by a laser and after some time the dead hair is pushed out and never grows back.) So deciding to eradicate this long term problem once and for all I found myself down at the Pulse Light Clinic to investigate. The Pulse Light Clinic offers a wide range of treatments besides hair removal. They also offer photo rejuvenation (where skin can be rejuvenated with a laser), sun damage & photo aging correction, tri acne treatment, tattoo removal, and loads of other treatments to help with rosacea, red veins, hyper-pigmentation and skin tightening. I chose this clinic as differs from any other- their team consists only of registered doctors and nurses who are highly skilled in photo rejuvenation and IPL techniques. Further to this fact, the clinic has been established for almost 15 years and has 5 different lasers that are specifically designed for laser hair removal to treat all skin types and most hair types. (Of course, this excludes blond and white hair as these have no melanin and the lasers simply do not work on these.) Most clinics you will find only has one machine for every skin type. So you might ask why is having more than one machine important. Well for a start, once hair becomes finer throughout treatments, a different type of laser might be more beneficial to give more long term and effective results. For those who have sensitive skin, it is great to note, that the Pulse Light Clinic has a Soprano XL laser that is virtually pain free! On the day I got there for my treatment I had a full consultation with my consultant Lucy. Lucy informed me exactly what she was going to do and how (little pain) to expect from the few minute treatment. She told me that cold air would come out of a side pipe to the laser to help cool the process. When she finished going over the areas with the laser under my arms she told me to expect mild raised or bumpy skin up to 48 hours of my treatment-although I had none whatsoever. The area did feel a bit tingly after treatment but only for about 30 min. It generally takes the dead hair to shed through the skin within a 1-3 week period. They seem to grow but actually will fall out if you tug at them. I suspect that due to the almost non-existent amount of hair under my arms I have not seen any re-growth or missed hairs with my treatment. Simply put, it worked for me first time, and I only had to and have to do it once. To say I was impressed was an under (arm) statement! For the first time in my life, I felt that the force of laser hair removal was indeed with me. Although I had this one wonder result this is not common for most people. It actually takes up to several treatments to completely get rid of all hair in an area. The reason for this is because hair grows at different stages and hair maybe missed if it was not at the anagen stage. The anagen stage is where there is an active blood supply to the hair follicle. The laser targets the follicle by the degree or darkness of melanin. This is why, people who have darker hair on lighter skin benefit most from laser hair removal. This is another reason why I had such great results (my hair is black and my skin is incredibly fair). The main reason I would suggest others to go for laser hair removal is that it is virtually pain free and you can target quite a bit of hair all at the same time unlike other processes such as electrolysis. There is also less risk with laser versus similar methods like IPL. IPL can cause side effects where with laser there is none- the laser targets and kills the root of the hair but not the surrounding areas of the skin! Of course, the final question is how much? Surprisingly, laser hair removal at the Pulse Light Clinic is incredibly reasonable. You can buy a 6x package, say for under the arms at about £250. Other packages for the face (let’s say upper lip) is at £192, while other body areas such as arms (full) can go up to £540. It is worthy to note, that buying a 6x or course package is cheaper than going for single treatments, and you will want the extra courses for any top ups you might need should hairs be not in the anagen stage and were missed in previous treatments. And if you like shortbread, why not try some alternatives from the East India Company. One of my favourites is the sea salt caramel flavour....the little knobbly bits of sea salt caramel are delectable! Sweet tooth? I absolutely adore these mini spiced fudge bites by Crabtree & Evelyn. Normally, you wouldn't think of Crabtree & Evelyn would you for tasty treats as they're famous for their hand creams or soaps. It's a great go-to point for food baskets and gifts. They've got loads of treats to temp and please anyone from preserves to tea to candies. These delicious speiced fudge bites come in a musical tin too for Christmas to and plays a song from the Nutcracker. I especially like the cherries in them as they give a special edge like no other. I warn you: They're highly addictive!